I think it is safe to say that I do not know what I would do without my fresh herbs. Cooking with fresh herbs is my “thang” – especially basil, parsley, rosemary and cilantro. I am lucky to have a large herb garden that keeps providing me with its bounty well into the fall. I am also lucky to have enough space in my yard to have an herb garden. It is so convenient to walk outside with a pair of scissors and snip off some fresh herbs for whatever recipe I need them for. If you are short on space in your yard or if you don’t have a yard at all, you can grow your own herbs too. 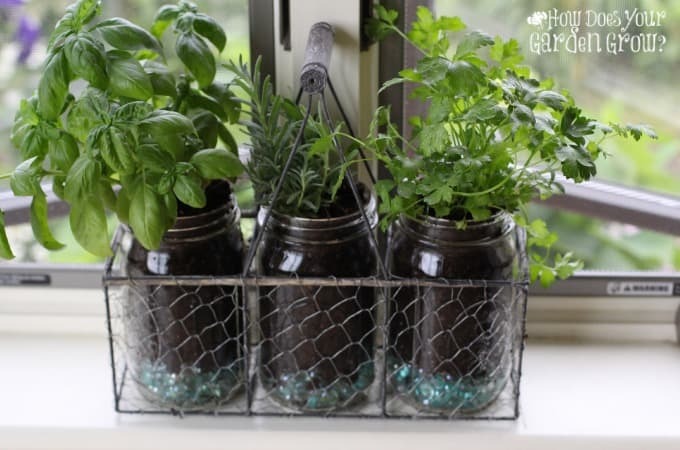 This Mason Jar Herb Garden is the perfect solution. Bring the outside in and grow your herbs on a windowsill or near a sunny window. It also a great alternative for the winter months. 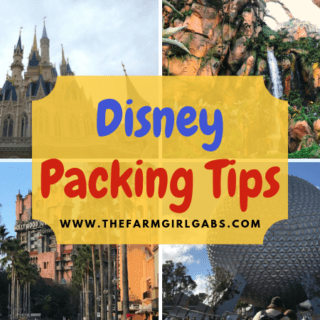 Are you ready for this easy project…..I mean you can’t get any simpler than this! Fill the bottom of each mason jar with some glass marble vase fillers. This will help with drainage when you water your herbs. Then, fill each jar half way with potting mix. Remove the herb from its original pot and gently break up the roots. This will help it grow better. Plant it in the mason jar and fill with more potting mix. That’s it. See, I said it was easy. Don’t forget to water the plants. Place them in your decorative container and place them on your kitchen window sill or any sunny window in your home. Fresh herbs at your disposal – any time you need them! Score!!! 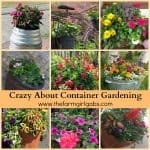 Need even more gardening ideas? 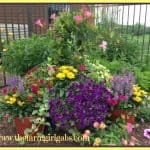 Follow my Gardening Pinterest Board below where I pin all my favorite gardening posts. 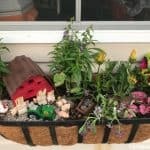 Follow Melissa Russo | How Does Your Garden Grow?’s board Gardening Ideas & Inspiration on Pinterest. What a fun idea! I might be trying this so I can have fresh herbs this winter!